Volunteer at The Frank Bette Center for the Arts. Volunteer shifts are usually three hours (11am-2pm) and (2pm-5pm) from Thursday-Saturday. We try to have more than one volunteer at the center for every shift. ​Orientation and training will be provided. If you have any questions feel free to email me. Existing Volunteers please use SignUp. Note: SignUp.com does not share your email address with anyone. If you prefer not to use your email address, please contact Ros Harper at 510-299-4023 and she can sign you up manually. Looking to make a difference right here in Alameda? Join other people just like you who love the arts and want to support creativity and nurture arts in our community. As Frank Bette Center continues to grow, we rely on our volunteers to help us keep things running smoothly. Volunteers play an essential role in inspiring and engaging the patrons who visit the Center each year. Whatever your skills, interest or time availability, we invite you to explore our volunteer opportunities and discover the right program for you. The Center depends on a committed group of dedicated member volunteers to fill a variety of positions and to participate in a wide range of activities and events vital to the successful operation of the Center. Training is available. 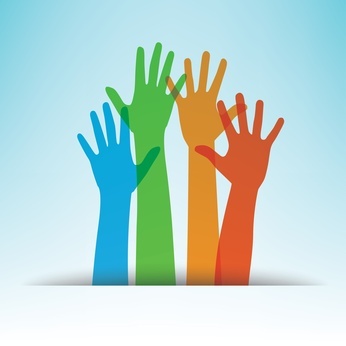 To get involved, review the many volunteer opportunities. Frank Bette Center for the Arts is a non-profit organization that relies on volunteers for all its day-to-day operations. Facilities Director: Oversees all interior and exterior building maintenance activities related to the Frank Bette Center. Coordinates with other Directors to ensure that the building meets federal, state, and city regulatory codes for commercial buildings. Participates as an active member of the Board of Directors in strategic planning and governance of the center. Download complete description. Application. Directions for Application.